See our updated guide on How to watch Wimbledon 2017. 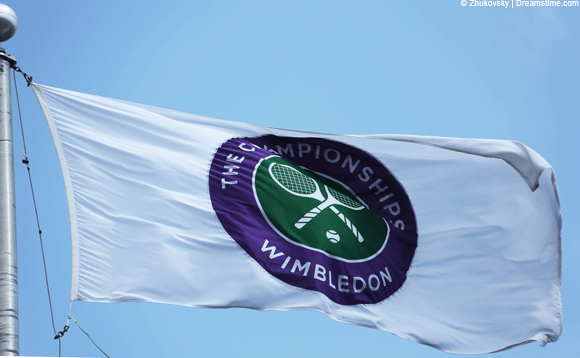 Wimbledon is back for 2016 and takes place between June 27th and July 10th 2016 in Wimbledon, London. If you’re outside the UK and want to watch all the coverage live or on catch-up then your choices are often limited and if you don’t have an expensive pay for TV service like cable then you can often be left out in the cold without being able to watch. In this guide I’m going to show you the incredibly easy way you can catch all the action and watch Wimbledon 2016 outside the UK from any country in the world in the comfort of your own home. The 130th edition of the tournament is set to be an exciting one and with Novak Djokovic and Serena Williams winning last year it promises again to be a tough competition. So let’s find out how you can watch Wimbledon 2016 outside the UK. The full Wimbledon 2016 tournament will be shown live on the BBC network mainly BBC 1 and BBC 2. If you live in the UK then you can simply watch live on your TV or online using BBC iPlayer. However, if you’re outside the UK and you try to access directly you’ll face a block message similar to the one below. 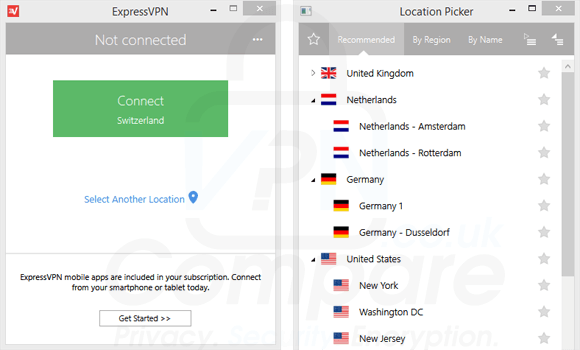 If you’re outside the UK you can use a service called a VPN (Virtual Private Network) to connect to the UK and then any website you visit will think you are in the UK. Rather than seeing the block message above you’ll be able to stream Wimbledon 2016 outside the UK regardless of what country you’re in. VPN services are available from tons of different countries and finding a good one can be time consuming. 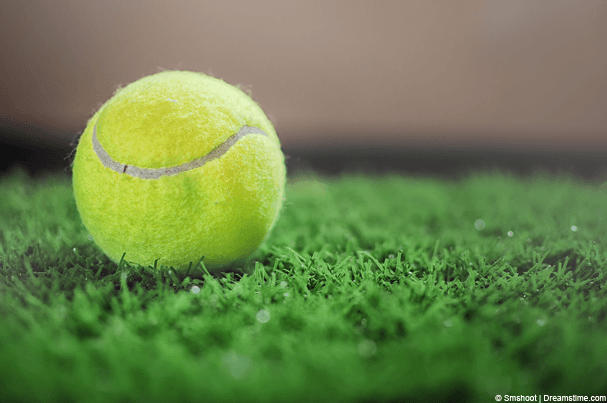 As we test VPN services on a regular basis we’ve been testing them to find out which is the best to watch Wimbledon 2016 outside the UK and found the following three to be ideal. All you need to do is click one of the provider names above to visit their site and sign-up. A good VPN service should cost about £3 – £6 ($5-$10) per month so if you only want to watch the whole Wimbledon 2016 tournament then you’ll only need a 1 month package. There is a host of different uses for a VPN from protecting your online privacy to watching other events so it’s worth considering signing up for a longer period and taking a look around our website to find out what other uses there are. Once you’ve signed up read below to see how to use the service to watch Wimbledon 2016 outside the UK. It’s possible to watch on BBC iPlayer on either your desktop, laptop, tablet or phone. However, if you want to watch on either your tablet or phone you’ll need to have downloaded the BBC iPlayer app inside the UK, if you’ve never been to the UK then you’ll have to resort to watching on a computer. Firstly you should download the software from the VPN provider’s website or the app from the relevant app store and install it. Run it and then choose a UK server and press to connect. Once connected visit the BBC iPlayer website or launch the iPlayer app. You’ll now be able to watch Wimbledon 2016 outside the UK. For a little more in-depth guide I’ve included a step-by-step guide for using each service on a Windows computer but the process is the same on a Mac and even easier on a phone/tablet. Download the software from the Apps section of their website. Once it has connected just visit the BBC iPlayer website and select either BBC 1 or 2 to watch Wimbledon 2016 live. If you receive an error message then disconnect and go to Server Selection then List and type United Kingdom. Try another server such as Manchester, Glasgow or one of the other London options and reconnect. Then restart your web browser and try in either Incognito or InPrivate mode. Follow the link in your welcome email to download the software. The software will now make connection. Visit the BBC iPlayer website once connected. Go to the Setup area of the website and download the software. 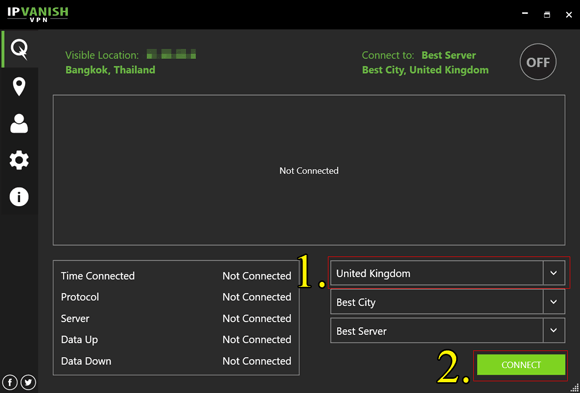 Choose a United Kingdom server from the middle drop down box. The software will connect, once connected visit the BBC iPlayer website. 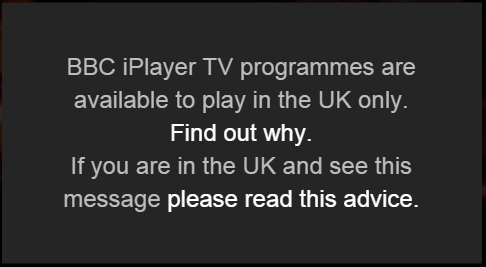 If you receive an error message that iPlayer is not available in your country simply disconnect from StrongVPN and try another server. Then reload your web browser in Incognito or InPrivate mode. Enjoy watching Wimbledon 2016 outside the UK in any country in the world!